At first, the Linskys and their two older daughters, Emily and Abbey, celebrated the miracle God had given them after Deonna had suffered three miscarriages in three years. But, the celebration soon turned to deep concern when Hannah’s condition was diagnosed. Fortunately, modern medicine has made it relatively simple to correct the problem, if the patient resides near a medical facility and skilled surgeons. The Linskys did, and Hannah’s problem was corrected during surgery in Dallas when she was 9 days old. Eight days after surgery, including four days in intensive care, Hannah was released to go home. Other than required annual checkups and a three-inch scar on her chest, Hannah has no lasting side effects. and is expected to live a normal life. Deonna now is a grateful mother, acknowledging that God has blessed her family in a huge way. Soon after Hannah’s surgery, she came across an idea to help other families affected by heart disease. She saw a flier about a program named “The Heart Project,” begun in 1997 by Samaritan’s Purse, which identifies children with heart diseases who live in countries without the medical expertise or facilities to correct those problems and pairs them with a facility in the United States to receive treatment. Since its inception, The Heart Project has provided care for hundreds of infants from Bosnia, Uganda, Nigeria, Mongolia, Honduras and Kosovo. Hannah’s Hearts will hold a “four-course, gourmet” dinner June 29 at Marlow, First, the Linskys home church, to benefit both The Heart Project and Children’s Hospital of Oklahoma (CHO) at the University of Oklahoma Medical Center in Oklahoma City, where Hannah received treatment and had preliminary surgery before being transferred to Dallas for the TGA surgery. Hannah’s Hearts also makes care bags and sends them to CHO. The bags contain notebooks, pens, gum, toiletries, change for vending machines, games for siblings and a disposable camera. 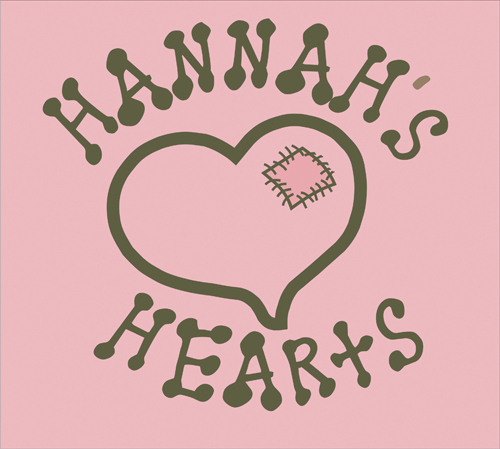 Hannah’s Hearts also stocks the hospital’s waiting room with bottles of water and snacks. “I want this June 29 event to be as big as God wants it to be,” Deonna said. The evening will include a talent show and silent auction, which begins at 6:30 p.m Dinner will be served at 7 p.m. Tickets cost $25.